As the company reports, the MedCottage is “a state-of-the-art hospital room with remote monitoring available so caregivers and family members have peace of mind knowing they are providing the best possible care.” But it’s not actually in a hospital – it’s designed to be placed right outside a personal residence. 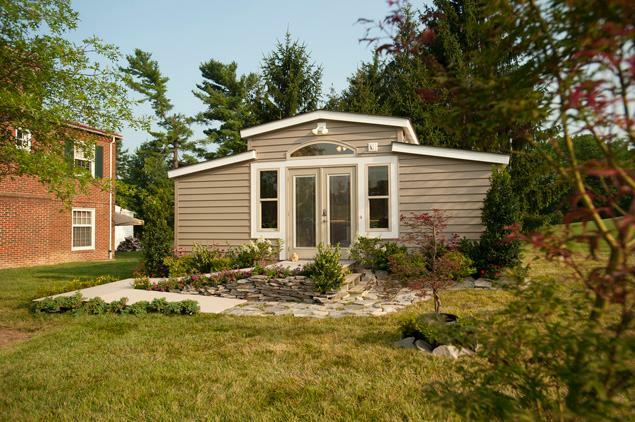 According to the Washington Post, these temporary structures can be set up in a backyard, if local zoning laws allow, as the plumbing and utilities tap into those serving the primary residence. 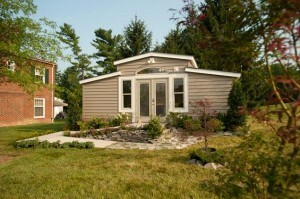 These “granny pods” may be designed to fit into an existing yard, but they’re a long way from being a simple toolshed. Many structures arrive complete with safety features that make it easier for the elderly to remain independent. For example, The New York Times reports that some structures have rubber floors to reduce the damage done by falls. According to an article in the New York Daily News, they also sport features like safety rails, lighted floors, defibrillator machines, and cameras and other electronics that allow others to discreetly monitor the resident’s health.